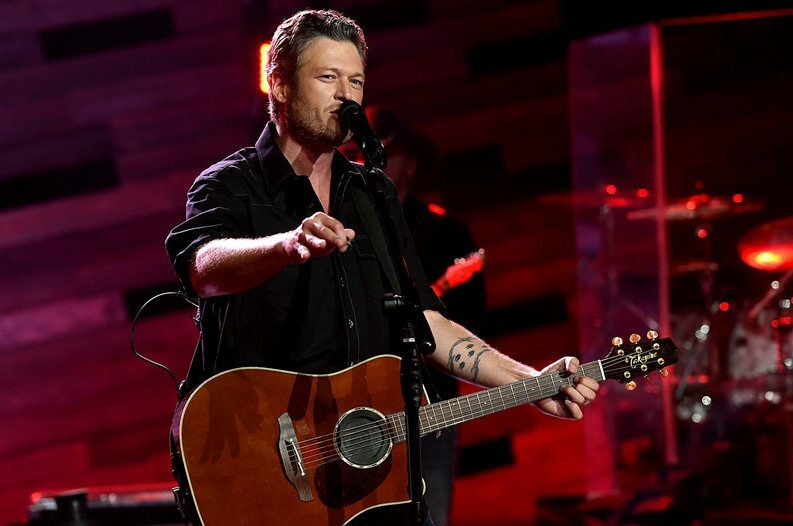 Blake Shelton is dealing with some unexpected home repairs after a landscaper accidentally crashed his truck into the country star's Oklahoma lake house. Shelton shared the news during his recent interview on Live With Kelly and Ryan. "This is a weird moment for me," Shelton said. "I'm talking about Texoma Shore and I made the album at my lake house, and I just got a phone call. Somebody drove their truck through the front of my lake house." "So if this album doesn't hit, then that's bad luck," he noted jokingly. "There's a truck sticking out of the front of my freaking house. I gotta sell some records." According to KXII, a worker from a pool and landscaping company drove up to Shelton's house to complete scheduled work. When he came out of his truck to open the gate, the truck lurched forward and pushed through the gate and into the side of Shelton's home. The accident caused no injuries and only minimal damage to Shelton's property. Of course, that didn't stop him from making a few jokes about the situation on Twitter.